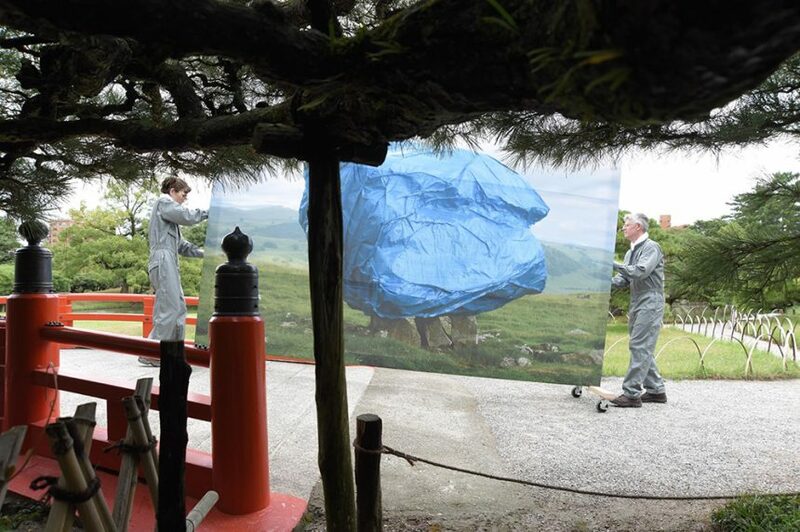 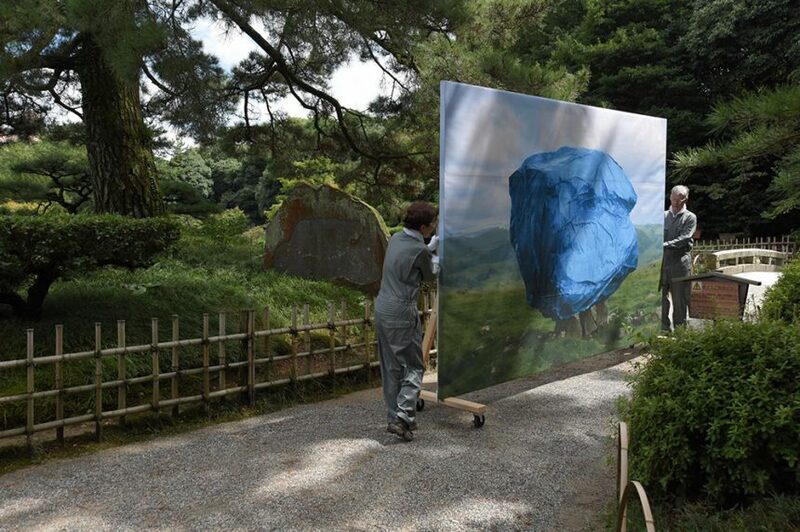 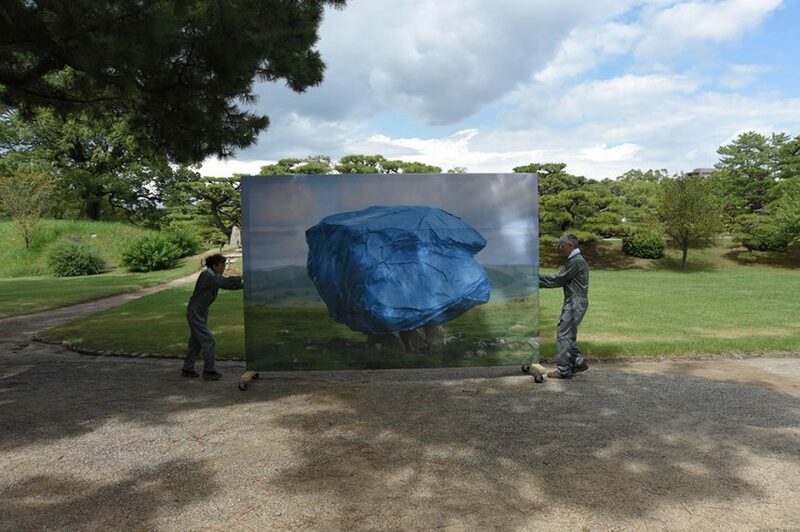 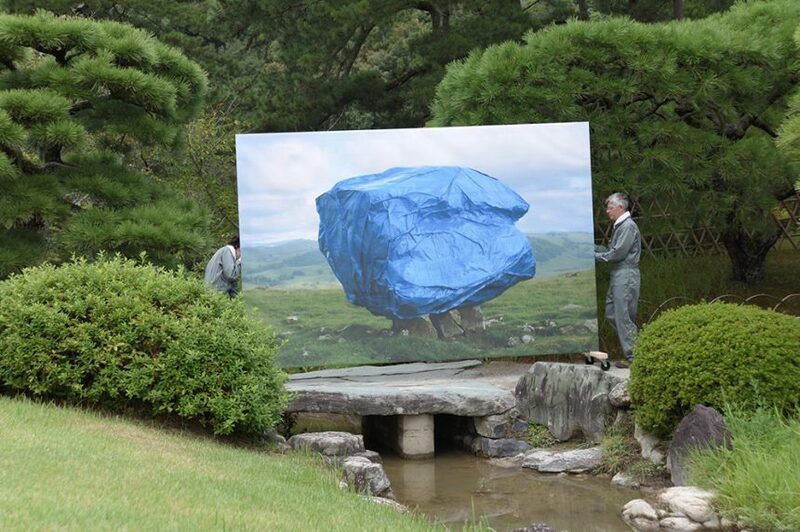 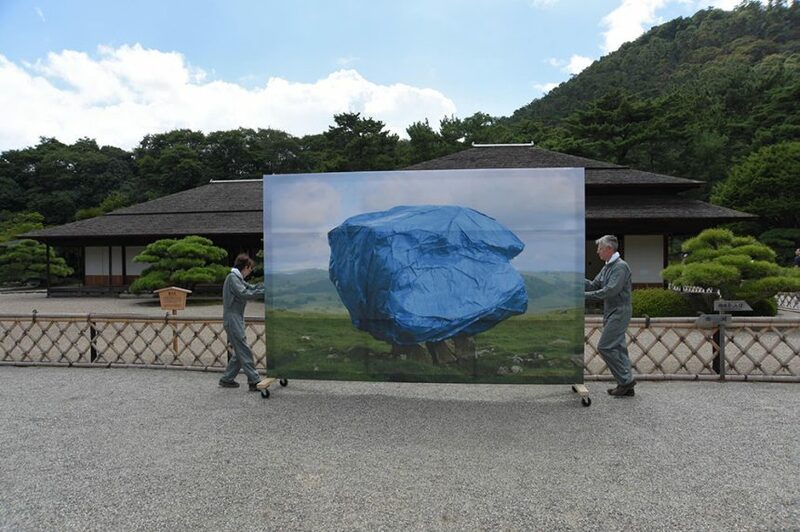 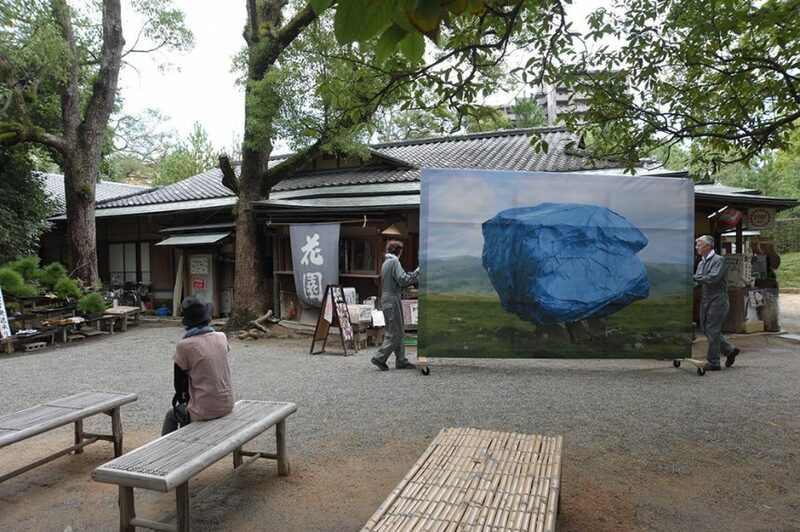 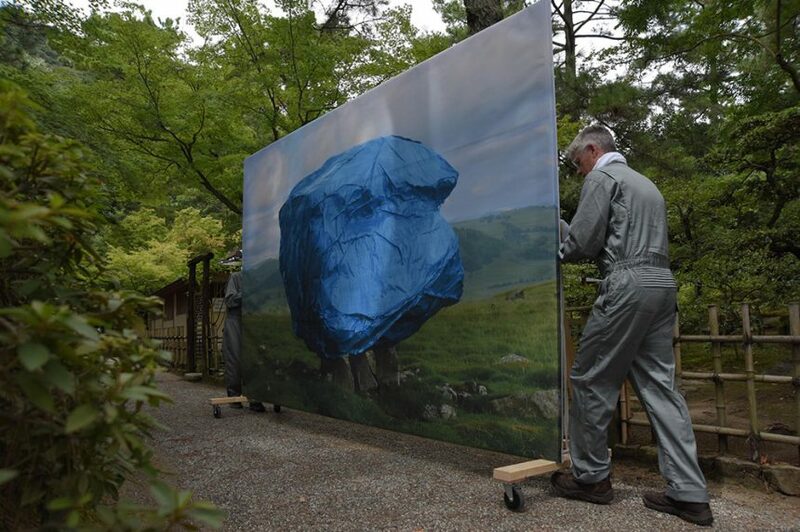 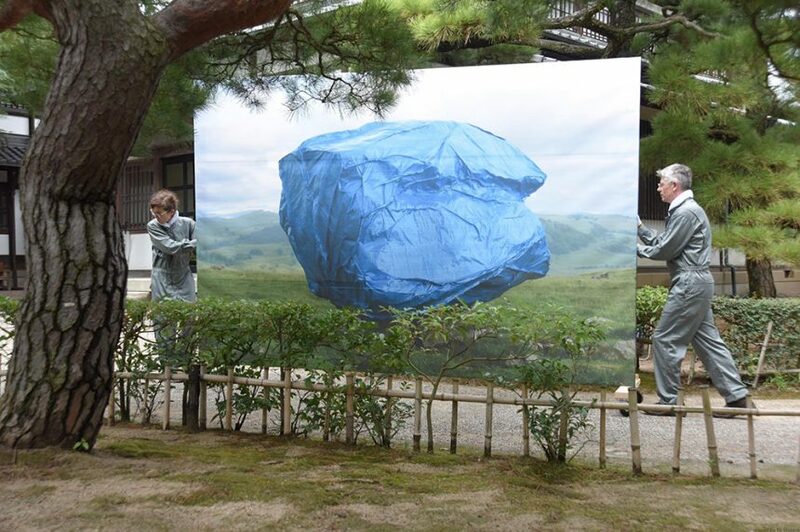 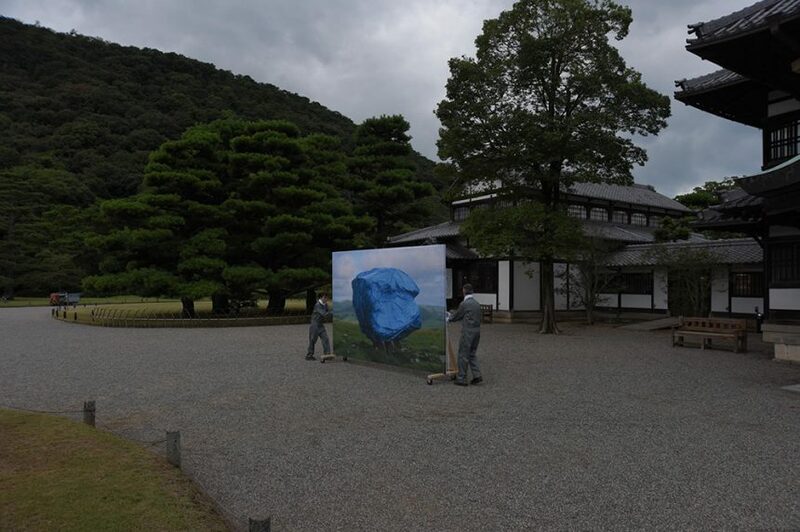 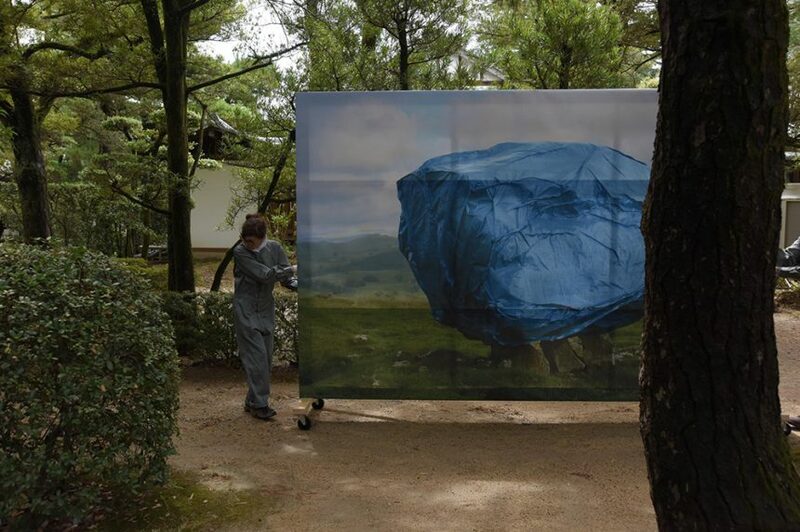 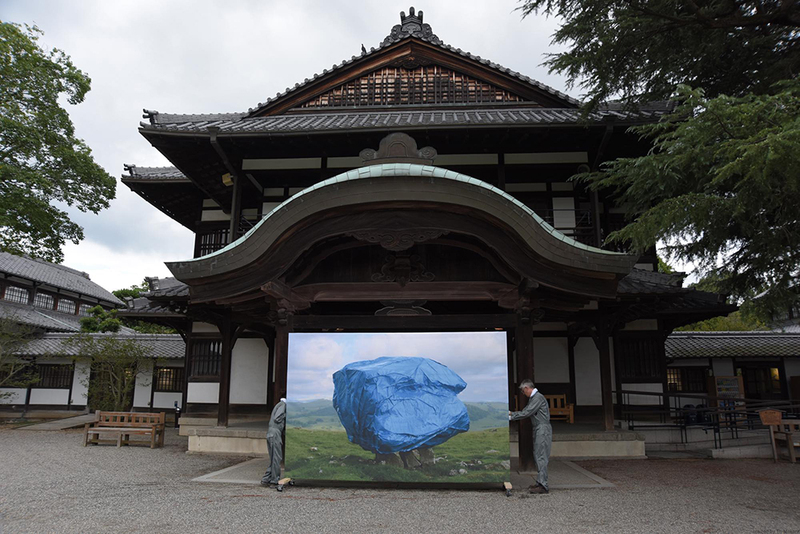 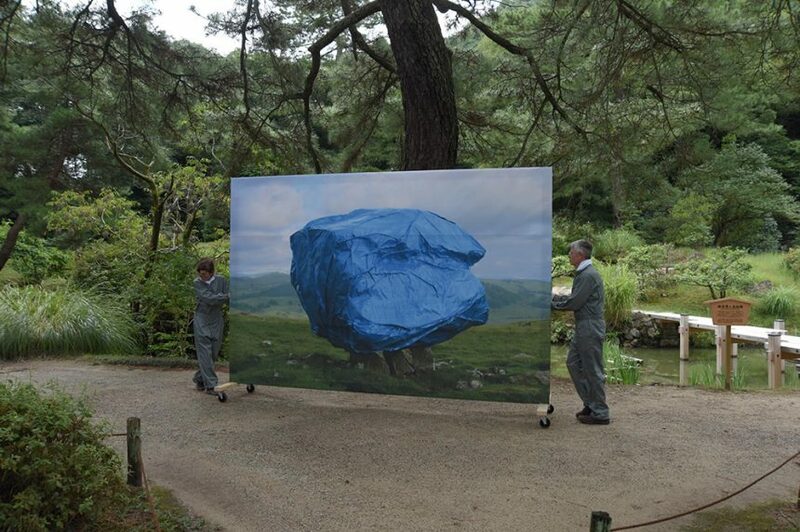 A life size image of a boulder (with a tailored blue tarpaulin*) from the wind blown Yorkshire Dales, UK, traverses the complex, pristine, manicured and historic devised landscape of the Ritsurin gardens, Takamatsu, Japan. 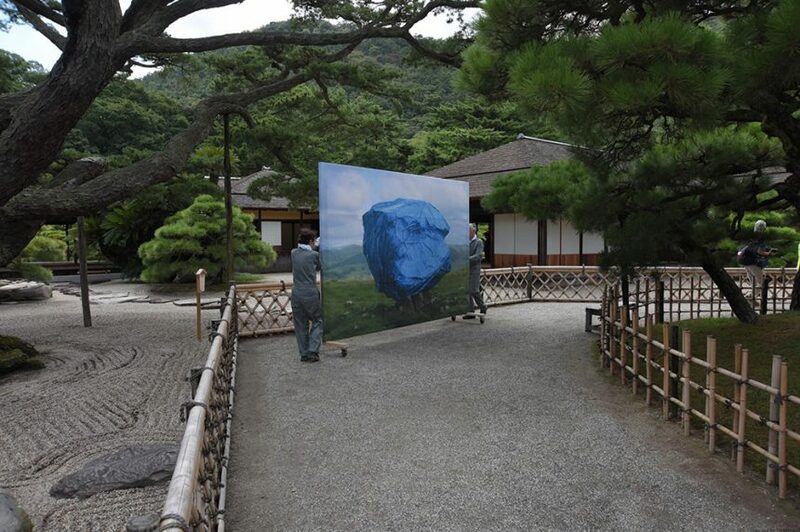 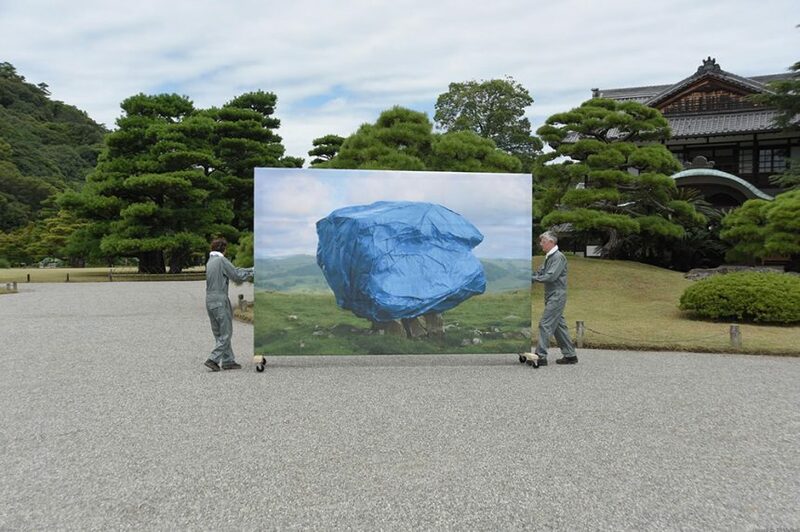 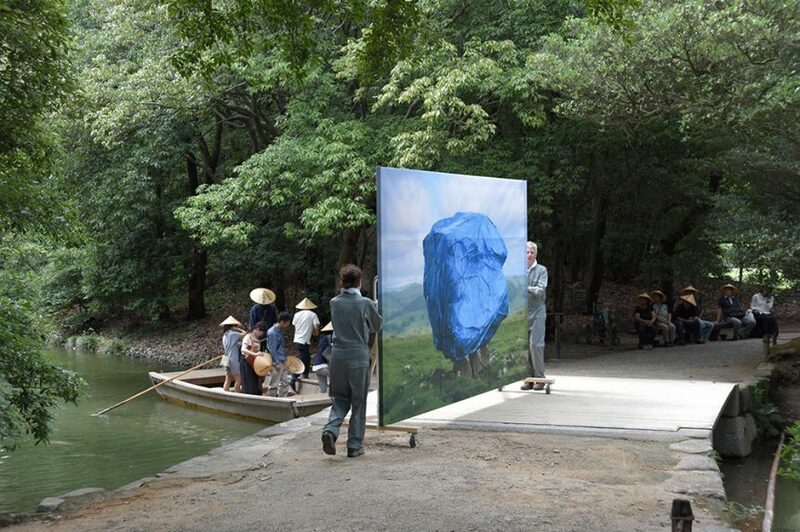 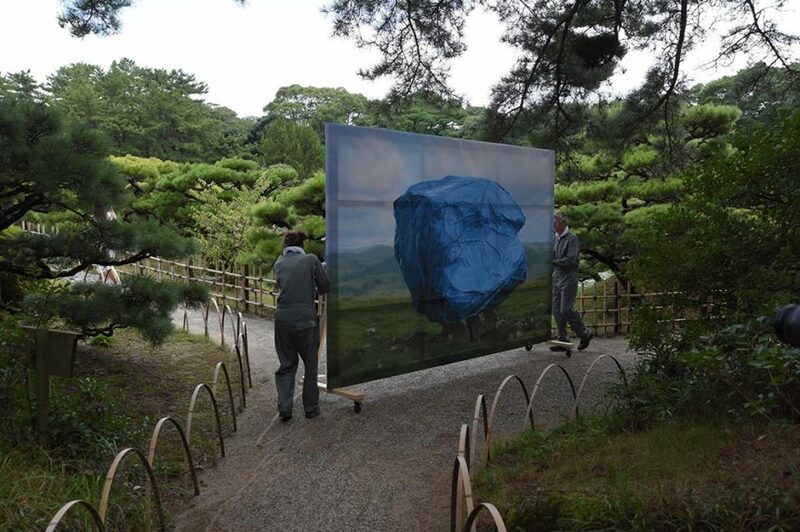 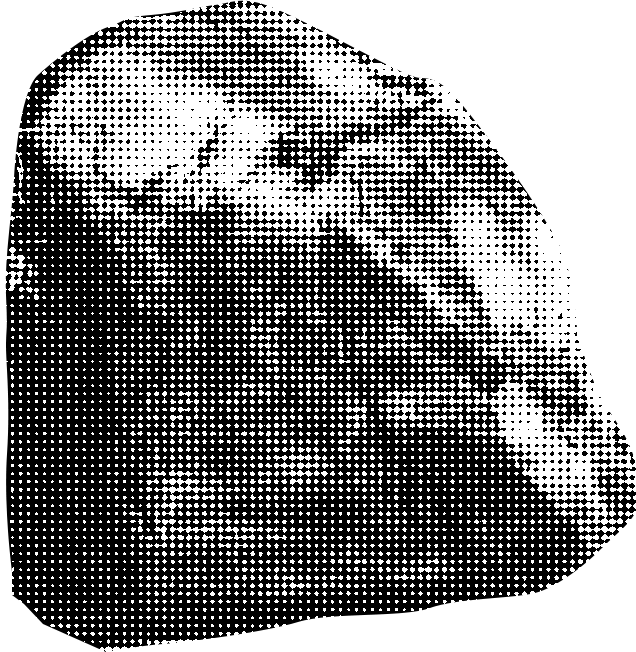 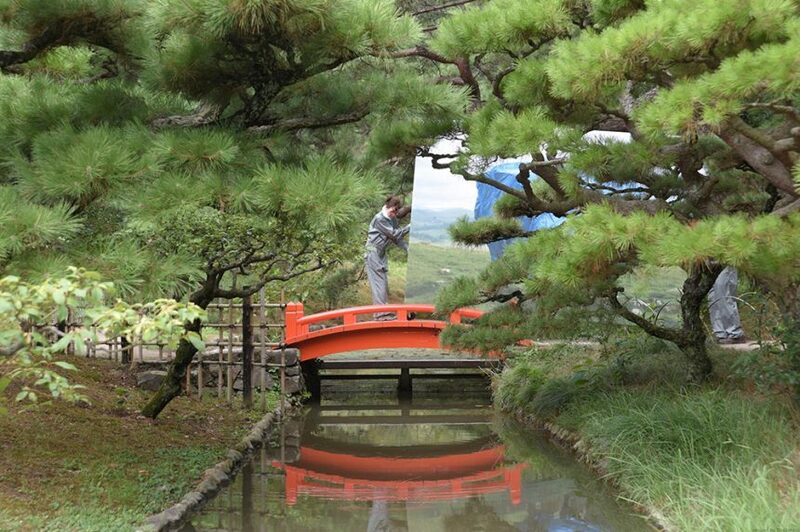 The photographic print of the erratic rock, is seen mounted on a large stretcher, awkwardly maneuvered along various paths and scenic routes in the daimyo strolling garden during the heat and humidity of typhoon season. 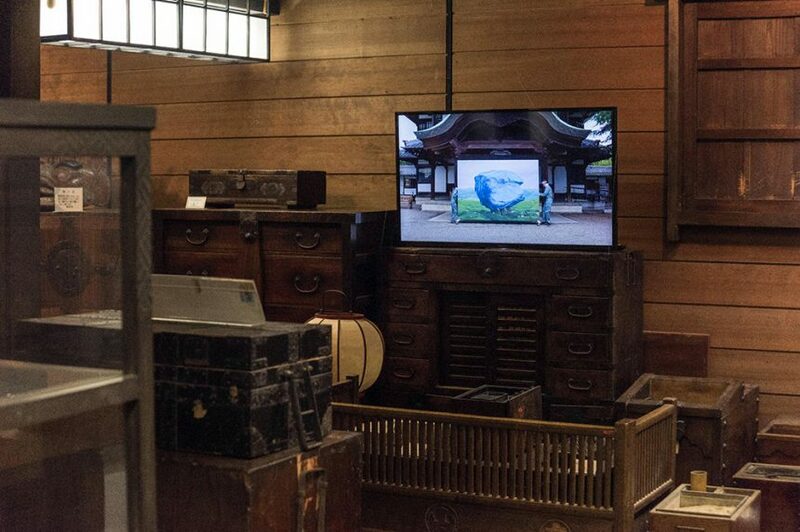 The video was presented among a collection of cabinets at the Sanuki Folk House Museum which marked the start and end of the circuitous route of this moving image.